Concert: Silverman: AT THE COLOUR CAFE Start Time: 00:00:00 Date: 2019-05-09 End Time: 00:00:00 Location: New York University Brass Choir Link: https://events.nyu.edu/#!view/event/date/20190509/event_id/231553 Concert Information: Wayne du Maine, conductor Provincetown Playhouse New York, NY No related posts. Concert: Silverman: COLORED TONES Start Time: 00:00:00 Date: 2019-03-17 End Time: 00:00:00 Location: Robbie Harvey, soprano saxophone Link: http://fayeellensilverman.com///index.php?option=com_wrapper&Itemid=34 Concert Information: Music Under Construction Stiefel Hall The New School New York, NY No related posts. Concert: Silverman: GREEN INK SERENADE *WORLD PREMIERE*; Start Time: 00:00:00 Date: 2019-03-17 End Time: 00:00:00 Location: Francisco Roldan and Daniel Lippel, guitars Link: http://fayeellensilverman.com///index.php?option=com_wrapper&Itemid=34 Concert Information: Music Under Construction Stiefel Hall The New School New York, NY No related posts. Concert: Silverman: INTERVAL UNTAMED (Excerpts) Start Time: 00:00:00 Date: 2019-03-09 End Time: 00:00:00 Location: Kaitlin Smith, alto saxophone Link: http://fayeellensilverman.com///index.php?option=com_wrapper&Itemid=34 Concert Information: “Women Composers Around the World” Raleigh/Durham Chapter of Sigma Alpha Iota Public Library of Johnston County and Smithfield Smithfield, NC No related posts. Concert: Silverman: AT THE COLOUR CAFE Start Time: 00:00:00 Date: 2018-11-04 End Time: 00:00:00 Location: Hora Decima Brass Ensemble Link: http://www.csschurch.org/events/concert-events/the-omega-ensemble Concert Information: David Chamberlain, conductor Christ & St. Stephen’s Church New York, NY No related posts. Concert: Sierra: CAPRICHOS Start Time: 00:00:00 Date: 2018-06-08 End Time: 00:00:00 Location: The Victory Players Link: http://mifafestival.org/event/el-puerto-rico-the-rich-port/ Concert Information: Massachusetts International Festival of the Arts EL Mercado Holyoke, MA No related posts. Concert: F-E Silverman: CUSTOM-MADE SHADES (Excerpt) Start Time: 00:00:00 Date: 2018-06-21 End Time: 00:00:00 Location: InterXchange Ensemble Link: http://fayeellensilverman.com///index.php?option=com_wrapper&Itemid=34 Concert Information: Centro Livre de Aprendizagem Musical (CLAM) São Paulo, Brazil No related posts. Concert: F-E Silverman: PAS DE DEUX Start Time: 00:00:00 Date: 2018-05-11 End Time: 00:00:00 Location: Iktus Percussion Ensemble Link: http://fayeellensilverman.com///index.php?option=com_wrapper&Itemid=34 Concert Information: Areté Venue and Gallery Brooklyn, NY No related posts. Concert: F-E Silverman: MEMORIES FOR SOLO VIOLA Start Time: 00:00:00 Date: 2018-06-03 End Time: 00:00:00 Location: Karen Bentley Pollick, viola Link: https://www.facebook.com/events/751918585013791/ Concert Information: SPECTRUM Female Composers Festival Brooklyn, NY No related posts. Concert: F-E Silverman: JOURNEYING FROM B TO C Start Time: 00:00:00 Date: 2018-05-13 End Time: 00:00:00 Location: Baron Fenwich, piano Link: https://events.newschool.edu/arnhold-hall/calendar/month/2018/5 Concert Information: Arnold Hall, The New School New York, NY No related posts. Concert: Silverman: KALENDS *NY Premiere* Start Time: 00:00:00 Date: 2018-02-24 End Time: 00:00:00 Location: Calliope Brass Link: https://www.washingtonheightsorchestra.org/calliope Concert Information: New York Women Composers Fort Washington Collegiate Church New York, NY No related posts. Concert: Silverman: WARM WORDS FOR A COLD EVENING *WORLD PREMIERE* Start Time: 00:00:00 Date: 2018-02-11 End Time: 00:00:00 Location: Matthew Castle, Christopher Vassiliades, and Isabel O’Connell, pianos Link: http://composersconcordance.wixsite.com/2017-18-season/concerts Concert Information: St. Mark’s Church New York, NY No related posts. Concert: Silverman: MEMORIES FOR SOLO VIOLA Start Time: 00:00:00 Date: 2018-02-01 End Time: 00:00:00 Location: Karen Bentley Pollack, viola Link: http://www.waywardmusic.org/?p=3705 Concert Information: Wayward Music Series Good Shepherd Center Chapel Seattle, WA No related posts. Concert: Silverman: TIDES Start Time: 00:00:00 Date: 2017-12-05 End Time: 00:00:00 Location: George Georgiou, clarinet; Annini Tsiouti, piano Link: http://www.cypruswinemuseum.com/?q=THE%20COMMANDARIA%20ORCHESTRA Concert Information: Commandaria Orchestra and Friends Chamber Music Series Cypress Wine Museum Limassol, Cypress No related posts. Concert: Silverman: CUSTOM-MADE SHADES Start Time: 00:00:00 Date: 2017-12-03 End Time: 00:00:00 Location: Colin Williams, trombone; Hanako Yamagata, piano Link: http://www.montclair.edu/arts/calendar/ Concert Information: Faculty Recital Leshowitz Recital Hall Montclair State University Montclair, NJ No related posts. Concert: Silverman: FLEETING MOMENTS Start Time: 00:00:00 Date: 2017-09-25 End Time: 00:00:00 Location: Ana Cervantes, piano Link: http://www.csschurch.org/events/concert-events/us-mexican-pianist-ana-cervantes-returns-to-new-york-presenting-of-the-light-of-air–de-la-luz-del-aire/ Concert Information: Christ & St Stephen’s Church New York, NY No related posts. Concert: Silverman: FLEETING MOMENTS Start Time: 00:00:00 Date: 2017-09-19 End Time: 00:00:00 Location: Ana Cervantes, piano Link: https://muse.union.edu/music/ana-cervantes-of-the-light-of-airde-la-luz-del-aire/ Concert Information: Emerson Auditorium Union College Schenectady, NY No related posts. Concert: Silverman: FLEETING MOMENTS Start Time: 00:00:00 Date: 2017-07-15 End Time: 00:00:00 Location: Ana Cervantes, piano Link: http://www.casacuatro.com.mx Concert Information: Casa Cuatro, Guanajuato, Guanajuato, Mexico No related posts. Concert: Silverman: FLEETING MOMENTS Start Time: 00:00:00 Date: 2017-07-06 End Time: 00:00:00 Location: Ana Cervantes, piano Link: http://museoiconografico.guanajuato.gob.mx/c_musical.html Concert Information: “De la luz, del aire” (Of light, of air) Museo Iconográfico del Quijote Guanajuato, Mexico No related posts. Concert: Silverman: EDINBORO SONATA Start Time: 00:00:00 Date: 2017-06-26 End Time: 00:00:00 Location: Edinboro Chamber Players Link: http://www.erielibrary.org/events/#/?i=2 Concert Information: Blasco Concert Series Erie County Public Library Eric, PA No related posts. Concert: F-E Silverman: LEFT BEHIND (excerpt)Start Time: 00-00-00Date: 2016-11-30End Time: 00-00-00Location: Edith Mintzer, French hornLink: https://www.facebook.com/permalink.php?story_fbid=1430121210335913&id=188134987867881&substory_index=0Concert Information: Israeli Womens Composer and Performers Forum Israeli Conservatory of Music Tel Aviv, Israel No related posts. Concert: F-E Silverman: SPEAKING ALONEStart Time: 00-00-00Date: 2016-11-19End Time: 00-00-00Location: Hristina Blagoeva, fluteLink: http://www.musefriends.org/festival-scheduleConcert Information: “New Music Collection” Multicultural Sonic Evolution Festival Long Island City, NY No related posts. Concert: F-E Silverman: MANHATTAN FIXATIONStart Time: 00:00:00Date: 2016-11-20End Time: 00:00:00Location: Music Under ConstructionLink: http://events.newschool.edu/event/music_under_construction#.WBem7I8rLIUConcert Information: Victoria Esposito, soprano; Melanie Ashkar, mezzo; Sarah Schoeffler, cello Arnold Hall The New School New York, NY No related posts. Concert: F-E Silverman: DANISH DELIGHTS (Excerpts)Date: 2015-06-21Location: Jihee Jeong, soprano; Kazuki Ueki, guitarLink: http://fayeellensilverman.com///index.php?option=com_wrapper&Itemid=34Concert Information: Composer’s Voice/Make Music New York New York, NY No related posts. Concert: F-E Silverman: DIALOGUE; DIALOGUE CONTINUEDDate: 2015-06-07Location: Bend Brass QuintetLink: http://cosymphony.com/events.htm#VRCCConcert Information: Andreas Lang, horn; Nathan Bastushcheck, tuba; Suzanne Mudge, trombone Central Oregon Symphony/Music in Public Places Series First Presbyterian Church Bend, OR No related posts. Concert: F-E Silverman: AZURE SKIESDate: 2015-03-29Location: Harmonnia Junus, violin; Ji-Hyeon Yun, cello; Kathryn Sloat, harp Link: http://events.newschool.edu/event/upperwest_chamber_music_1Concert Information: Upperwest Chamber Music 1 Stiefel Chamber Music SerieS Mannes College The New School for Music New York, NY 10024 No related posts. Concert: F-E Silverman: CUSTOM-MADE SHADES *WORLD PREMIERE*Date: 2015-02-08Location: Nicole Abissi, trombone; Faye-Ellen Silverman, pianoLink: http://events.newschool.edu/event/music_under_construction_5767Concert Information: Music Under Construction New Music Concert Series Mannes College of Music New York, NY No related posts. Concert: F-E Silverman: DIALOGUE CONTINUEDDate: 2014-06-08Location: TradesMann TrioLink: http://fayeellensilverman.com///index.php?option=com_wrapper&Itemid=34Concert Information: International Women’s Brass Conference 2014 New Compositions Concert Greaves Concert Hall Northern Kentucky University Highland Heights, KY No related posts. Concert: F-E Silverman: ZIGZAGSDate: 2014-06-07Location: JoAnn Hershey, tubaLink: http://fayeellensilverman.com///index.php?option=com_wrapper&Itemid=34Concert Information: International Women’s Brass Conference 2014 New Compositions Concert Greaves Concert Hall Northern Kentucky University Highland Heights, KY No related posts. Concert: F-E Silverman: COMBINED EFFORTS *WORLD PREMIERE* Date: 2014-06-06 Location: SymbiosisDuo Link: http://www.iwbc2014.com/2014/05/28/faye-ellen-silverman/ Concert Information: International Women’s Brass Conference 2014 New Compositions Concert Greaves Concert Hall Northern Kentucky University Highland Heights, KY No related posts. Concert: F-E Silverman: EDINBORO SONATA *NY Premiere*Date: 2014-03-16Location: Daniel Burdick, tuba; Faye-Ellen Silverman, pianoLink: http://fayeellensilverman.com///index.phpConcert Information: Music Under Construction Series Mannes College of Music The New School New York, NY FREE No related posts. Concert: F-E Silverman: CONVERSATIONS CONTINUED, DIALOGUE CONTTINUED Date: 2014-03-06Location: 2014 Women Composers Festival of HartfordLink: http://womencomposersfestivalhartford.com/Concert Information: Charter Oak Cultural Center Hartford, CT 06106 No related posts. Concert: F-E Silverman: CONVERSATIONS CONTINUED *NY PREMIERE*Date: 2014-02-11Location: Ashleé Miller, clarinet; Sarah Carrier, alto fluteLink: http://fayeellensilverman.com///index.phpConcert Information: Mannes College of Music The New School New York, NY No related posts. Concert: F-E Silverman: XENIUMDate: 2013-11-11Location: Mary Barto flute; Julia Dusman, pianoLink: http://events.newschool.edu/event/faculty_composers_concert_1?utm_campaign=widget&utm_medium=widget&utm_source=The+New+School&_ga=1.164862394.487784657.1384985926#.Uo02BuKrGM0Concert Information: Faculty Composers Concert Concert Hall Mannes College The New School for Music New York, NY No related posts. Concert: F-E Silverman: CANDLELIGHT (2-piano version) *WORLD PREMIERE*Date: 2013-03-24Location: Iryna Arbatska and Teng Fu, pianosLink: http://fayeellensilverman.comConcert Information: Music Under Construction Series Mannes Concert Hall Mannes College / The New School for Music New York, NY FREE No related posts. Concert: F-E Silverman: PREGNANT PAUSES *New York Premiere*Date: 2013-04-29Location: Cygnus EnsembleLink: http://www.cygnusensemble.comConcert Information: Cutting Edge Concerts New Music Festival 2013 Symphony Space New York, NY No related posts. Concert: F-E Silverman: LAYERED LAMENTDate: 2013-03-24Location: Stuart Breczinski, English hornLink: http://fayeellensilverman.comConcert Information: Composers Voice series Jan Hus Church New York, NY FREE No related posts. Concert: F-E Silverman: ORCHESTRAL TIDES *WORLD PREMIERE*Date: 2013-03-19Location: Mannes College OrchestraLink: http://fayeellensilverman.comConcert Information: Solene Romieu, conductor The New School Theresa Lang Community and Student Center New York, NY FREE No related posts. 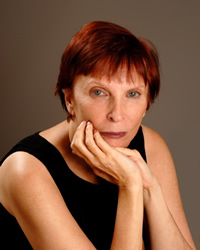 Concert: F-E Silverman: TIDES *WORLD PREMIERE*Date: 2013-02-27Location: Ashlee Miller, clarinet; Faye Ellen Silverman, piano Link: http://fayeellensilverman.comConcert Information: Elebash Recital Hall CUNY Graduate Center New York, NY FREE No related posts. Concert: F-E Silverman: XENIUM *WORLD PREMIERE* (Complete work)Date: 2012-09-09Location: The Composer’s Voice SeriesLink: http://www.voxnovus.com/composersvoice/calendar/Concert Information: Mary Barto, flute Yumi Suehiro, piano Jan Hus Church New York City No related posts. Concert: Silverman: XENIUMDate: 2012-04-29Location: The Composers Voice Series, Jan Hus Church, New York, NYLink: www.voxnovus.com/composersvoice/Concert Information: Laura Patterson, flute; Sophia Yan, piano No related posts. Concert: Silverman: MANHATTAN FIXATIONDate: 2012-04-24Location: St. Peter’s Church, New York, NYLink: www.saintpeters.org/events/detail/190/details/Concert Information: Jody Mellon, soprano; Melissa Fogarty, mezzo-soprano; Gretchen Bender, cello No related posts. Concert: Silverman: SHIFTING COLORS WORLD PREMIEREDate: 2012-03-21Location: Mannes College The New School for Music, New York, NYLink: www.newschool.edu/mannes/events.aspxConcert Information: ZigZag Quartet Music Under Construction Series No related posts. Concert: Silverman: FLEETING MOMENTS WORLD PREMIEREDate: 2012-02-19Location: Mannes College, New York, NYLink: www.newschool.edu/mannes/events.aspx?id=70957Concert Information: Faye-Ellen Silverman, piano No related posts.